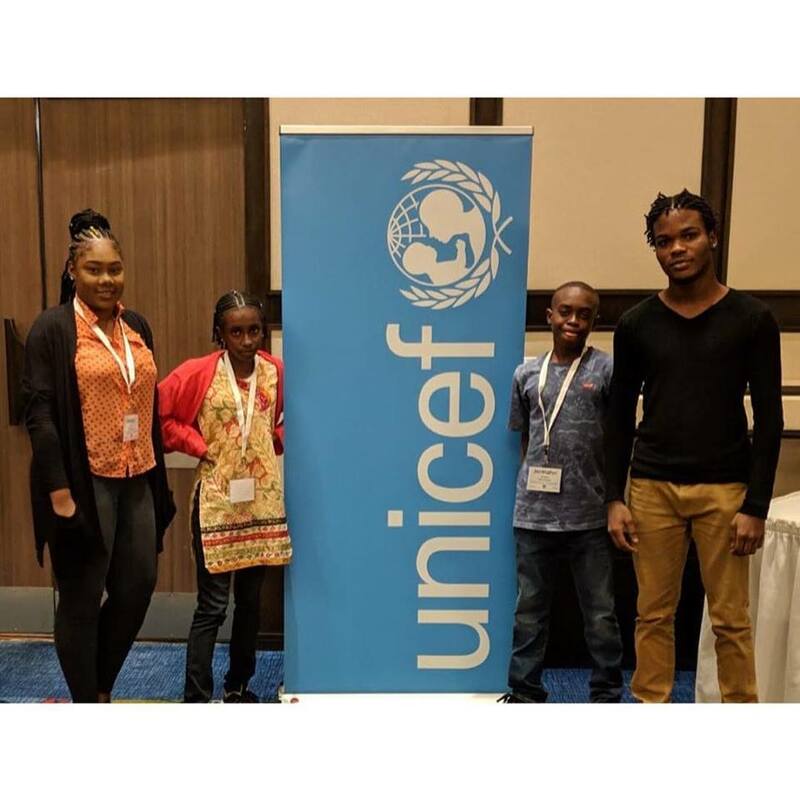 Keyola Greene photo of the Montserrat youth contingent at the UNICEF symposium for Eastern Caribbean youth. Representing Montserrat are CARICOM Youth Ambassador Keyola Greene, Ashniel Jeffers, Johmarie Meade, and Ashma Mohammed. Hon. Minister of Education Delmaude Ryan and Permanent Secretary for Education Colin Fergus will participate in the last two days in the technical sessions and will get to hear the presentations made by the young people. The meetings coincide with the celebration of World Children’s Day on November 20, which has a priority thrust selected by youth as education. The overarching goal of the symposium, says a UNICEF note is to bring policymakers and the public closer to the young people and their concerns regarding the sub region’s education sector. Other participating countries are Antigua & Barbuda, Anguilla, British Virgin Islands, Dominica, Grenada, St Vincent & the Grenadines, St Kitts & Nevis, Saint Lucia, Turks & Caicos and Trinidad & Tobago.